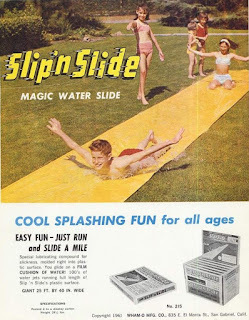 The Slip 'n' Slide is a long sheet of plastic, with a tubular fold on one side. A garden hose is connected to the fold, so water sprays onto the plastic. 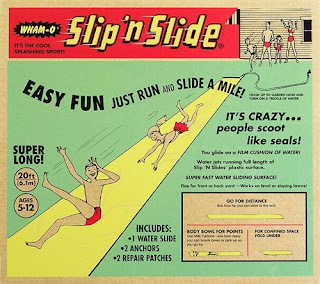 Outside on a hot summer day (especially on a sloping surface), this provided lots of childhood fun in retro days. 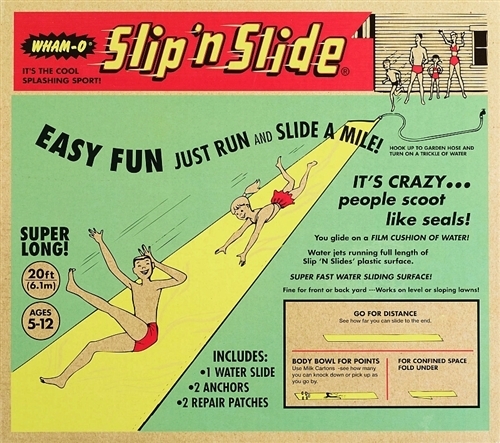 The Slip 'n Slide was invented in 1961 by Robert Carrier, and marketed by Wham-O toys. Robert Carrier was an upholsterer for a boat company, and was inspired to make the toy after seeing his son sliding in a stream of water outside. 300,000 Slip 'n Slides sold in the first six months of sales. 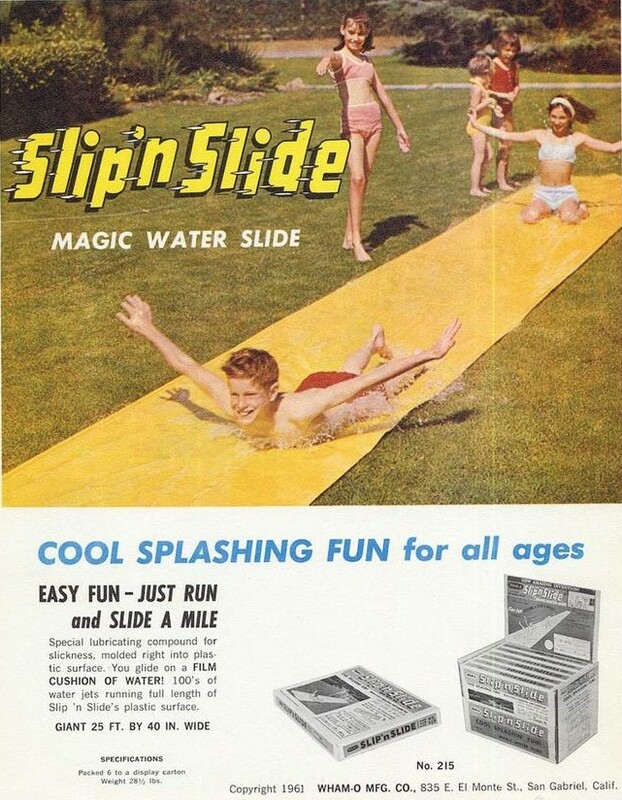 Do you remember Slip 'n' Slide? What other summer water toys did you enjoy? I'd love to hear from you in the comments, below. How cool is this!!! I remember so many great memories with our slip and slide growing up. Somehow someone ALWAYS ended up hurt!!! Awesome bit of summer memories here! My friend had one with a big hill in her backyard --- lots of fun! Thanks for taking me back! 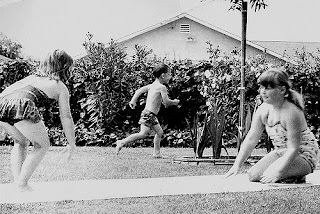 Had loads of fun on our slip and slide back in the day! Ahhh I used to love this! I did buy one for my son but the thought of throwing myself on the ground now....oh no. Not happening lol. Haha ohhh slip n slide! They were so much fun! This was an awesome flashback and great history! Love this! Slip n slides are just as much fun as adults as they were back then! Awe! How fun?! I loved slip n' slide as a little kid! Just went to a birthday party this weekend where they had one...I didn't participate this time, lol.